Elan Shou joins PRWeek's staff to discuss the growth of China's PR industry, social media in Asia, and the comms news of the week. 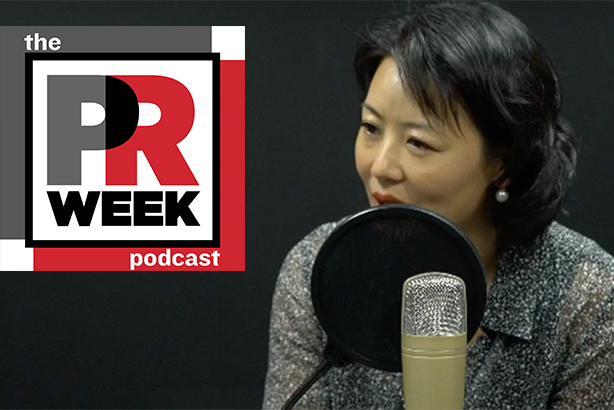 Elan Shou, Ruder Finn Asia's EVP and MD, joins PRWeek news editor Frank Washkuch and senior reporter Diana Bradley for the second PR Week Podcast of 2018. This week's topics include media and PR in China, including the different social media pillars in the country and a generational breakdown of who uses what, as well as the biggest stories in PR this week, such as Airheads' partnership with NFL star Alvin Kamara.